ANDROSTENEDIONE 100-60 CAPS would that work..
Work for what? Andro is crap IMO. As one of the other AR guys said here, "the side effects are more than the gains you get from it". Don't waste your money, just buy more creative, glutamine and protein powder, stay away from Andro. 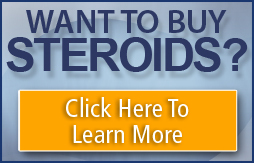 Don't bother with the androstenedione that crap is old school, do a search here or at www.bodybuilding.com for 1-test, I think you will be pleased with everyone's results and opinions with 1-test products. (that is at bb.com) They are ph crazy there, even though 1-test is not a ph. One human trial used 100 mg per day in an attempt to increase testosterone levels , however, ideal intake remains unknown. Substances similar to andro, such as androstenediol and norandrostenedione, are also available. While some test tube and animal studies have found androgen-like effects7 as well as immune-enhancing effects8 for androstenediol, no research exists on the effects of supplementing these substances in the human body.